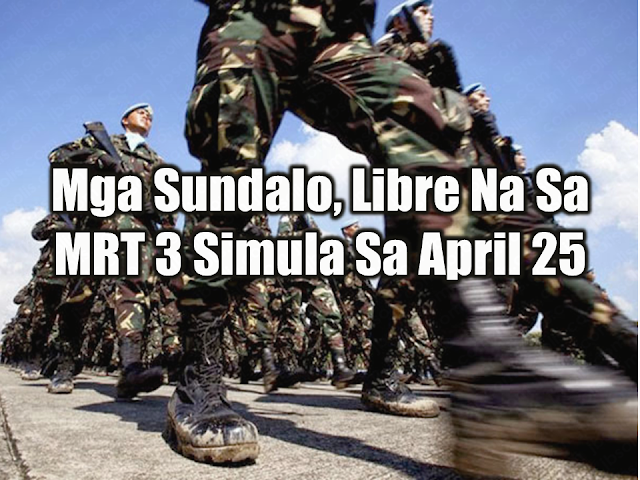 All active personnel of the Armed Forces of the Philippines (AFP) will be entitled to free rides at the Metro Rail Transit Line 3 (MRT-3) starting April 25. 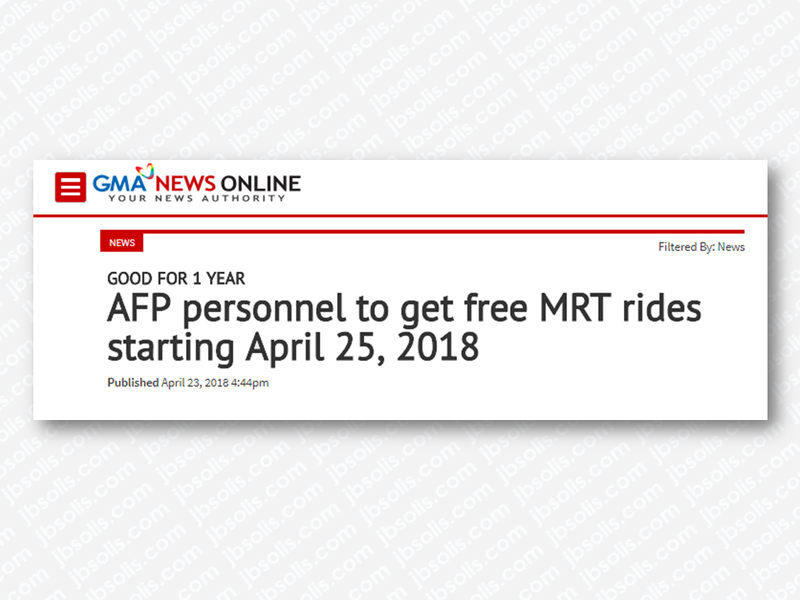 Active military personnel may avail of the MRT ride for free upon showing their AFP identification cards which will serve as their access pass, according to the Department of Transportation (DOTr). The access pass will be valid for a year. The DOTr and AFP will sign a Memorandum of Agreement (MOA) Wednesday at the MRT-3 depot in Quezon City to formalize the partnership. The MOA will be signed by Transportation Secretary Arthur Tugade, DOTr Undersecretary for Railways Timothy John Batan, MRT-3 General Manager Rodolfo Garcia and Civil Relations Service AFP Commander Brig. Gen. Bienvenido Datuin Jr. This will be noted by Batan and AFP Chief of Staff Carlito Galvez Jr. and approved by Tugade and Department of National Defense (DND) Secretary Delfin Lorenzana. 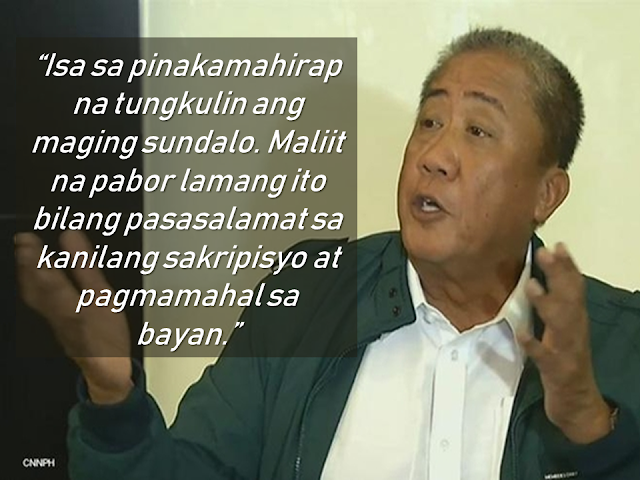 Tugade said the free train ride is a way for the DOTr to recognize the sacrifices of the military. For its part, the AFP will be providing the MRT ambulance and medical teams for assistance during emergency and crisis situations. 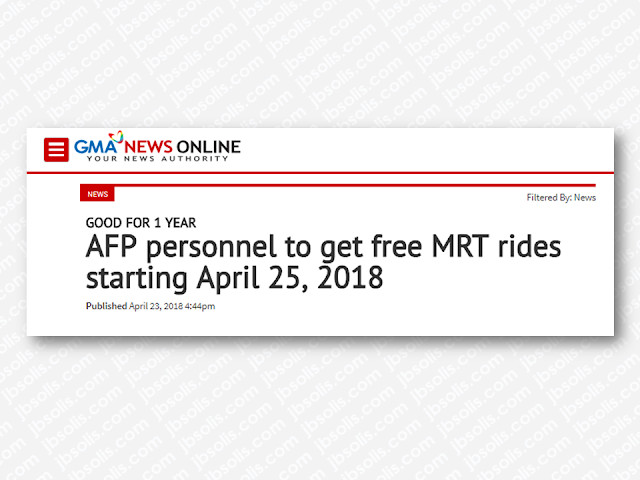 An agreement was also signed last year between the AFP and the Light Rail Transit Authority (LRTA), granting all uniformed personnel free rides until December 2018 at the LRT-2 as a gesture of appreciation for the soldiers who risked their lives during the Marawi siege. 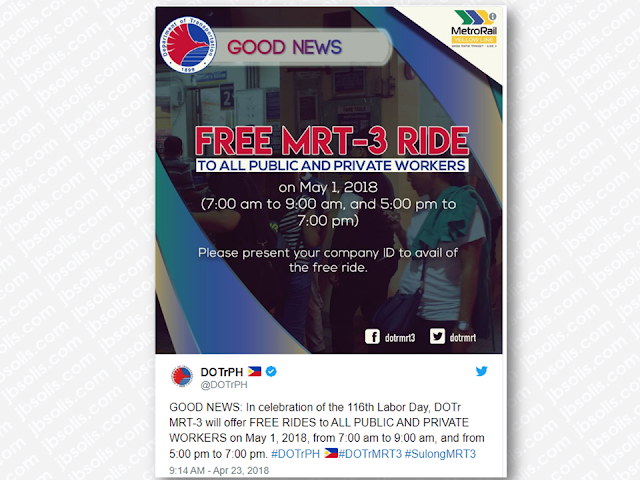 Meanwhile, all workers will also enjoy a free MRT ride on this coming Labor day on May 1, 2018, as announced by the DOTr. All workers from private and government company one offices only needed to show their company ID to enjoy the free ride on May 1 from 7:00AM to 9:00AM and 5:00PM to 7:00PM.